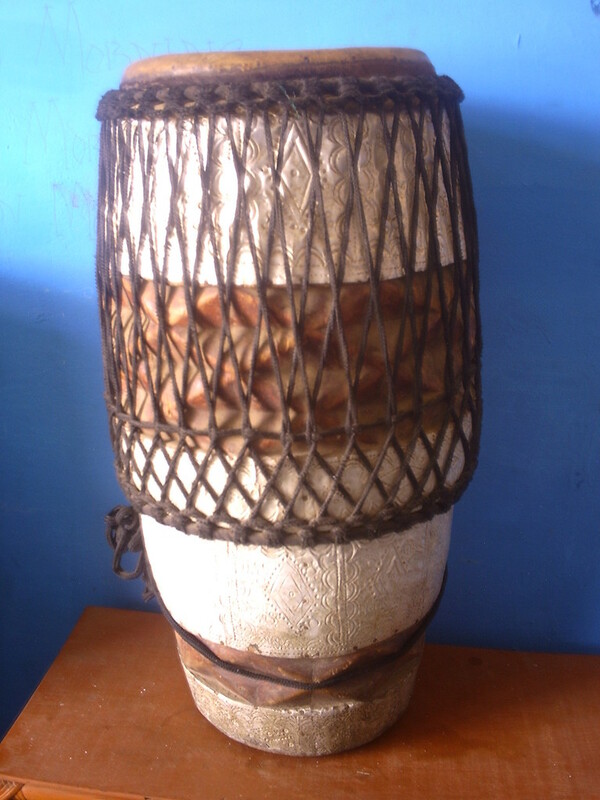 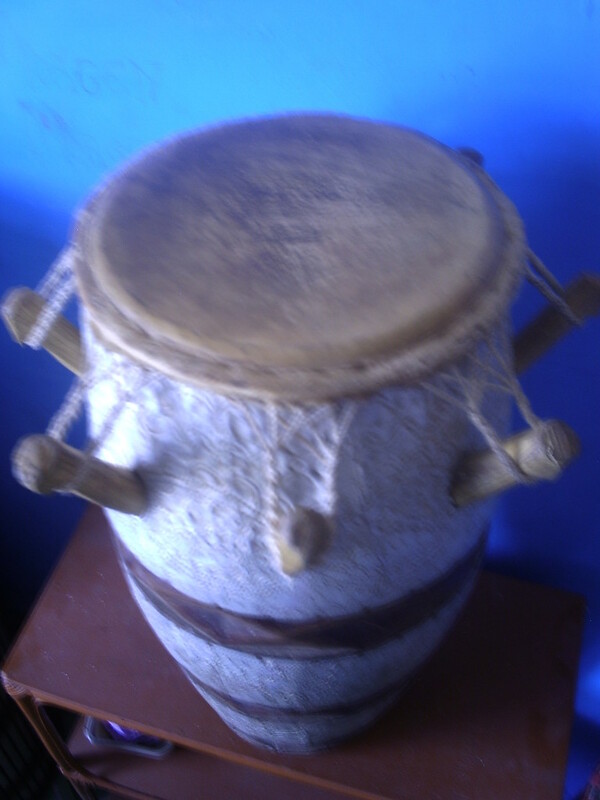 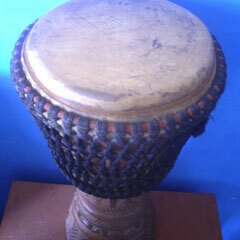 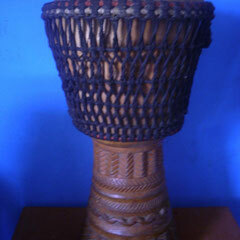 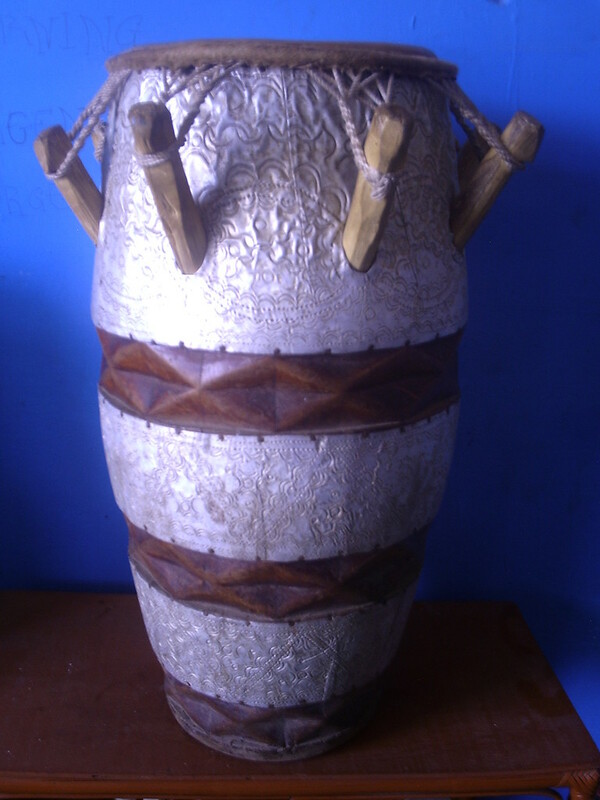 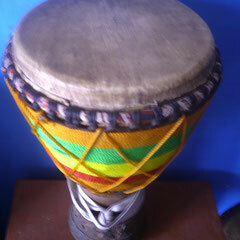 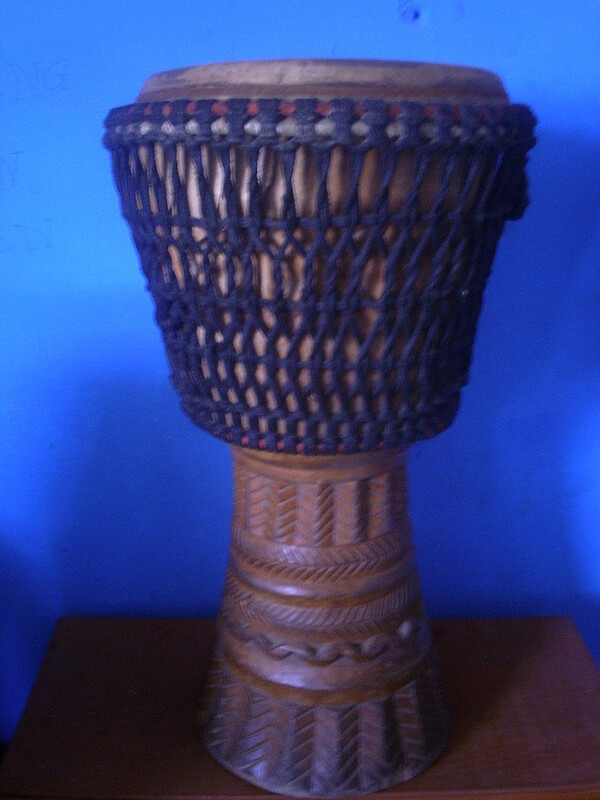 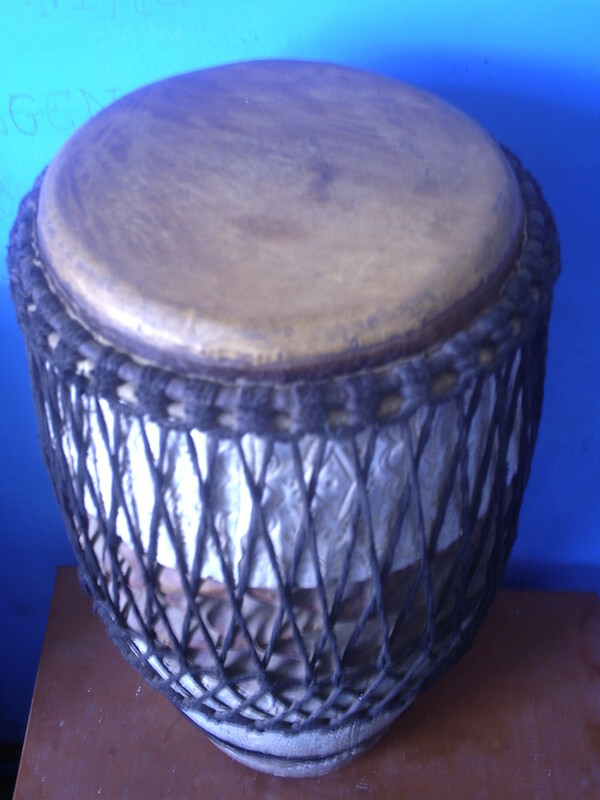 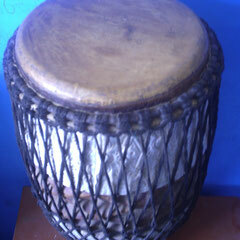 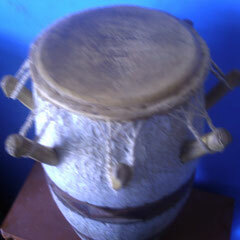 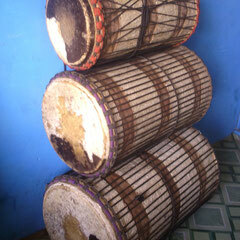 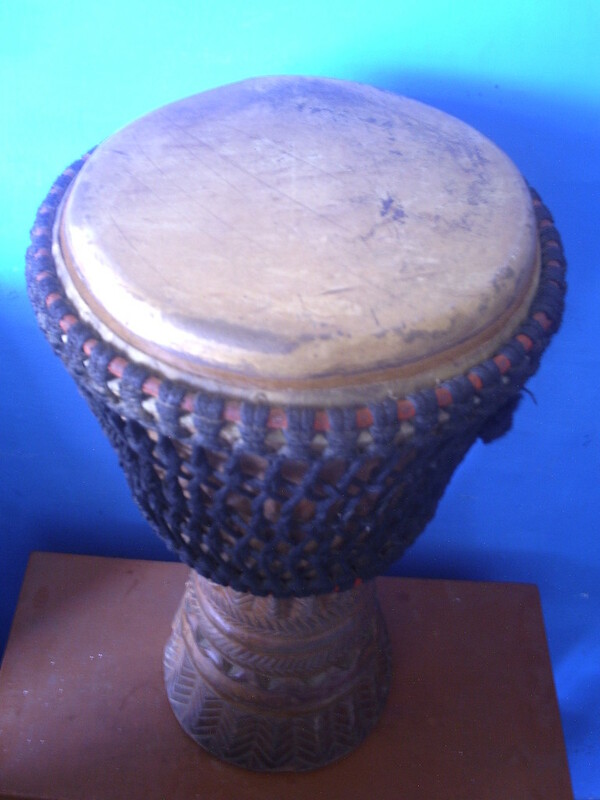 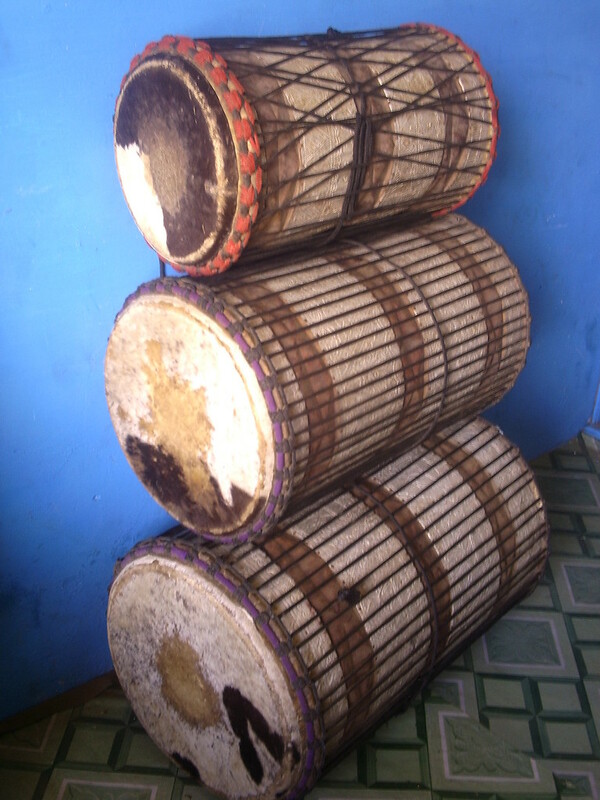 All these professional quality master hand carved drums are for sale. 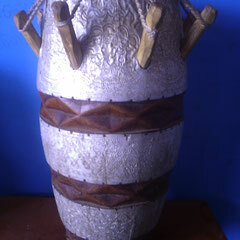 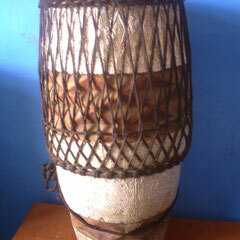 Male goat & cow skin, Chenebua Wood and double weaved rope system. 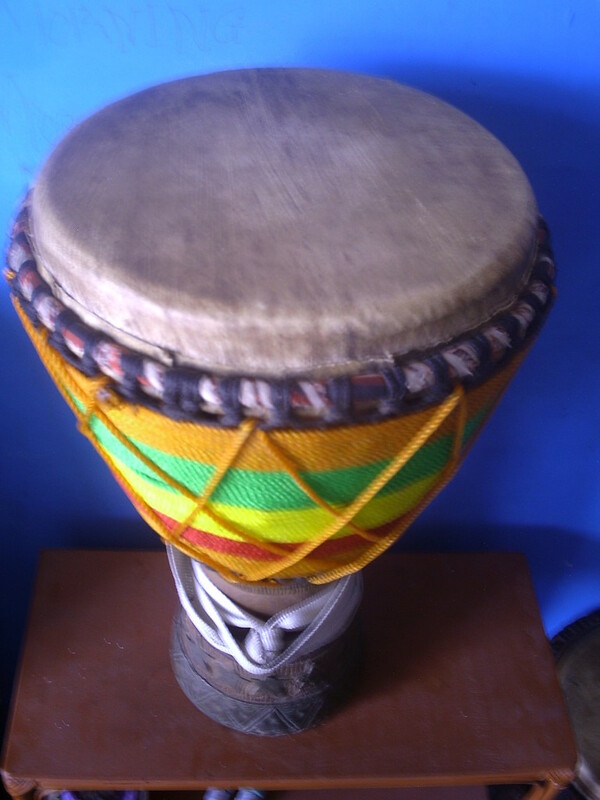 Original strong and durable Kente material carry case included in price. 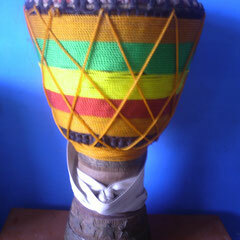 Please contact us to discuss your needs and to confirm costs inclusive of delivery. 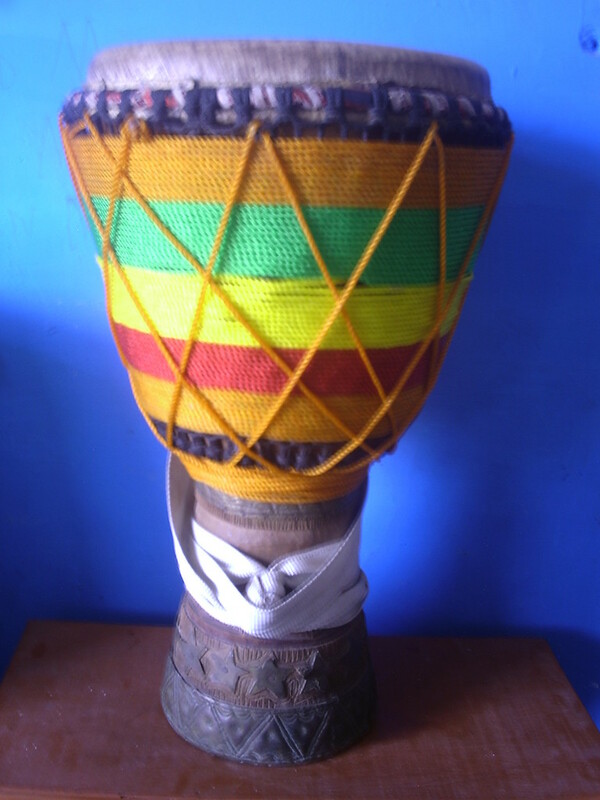 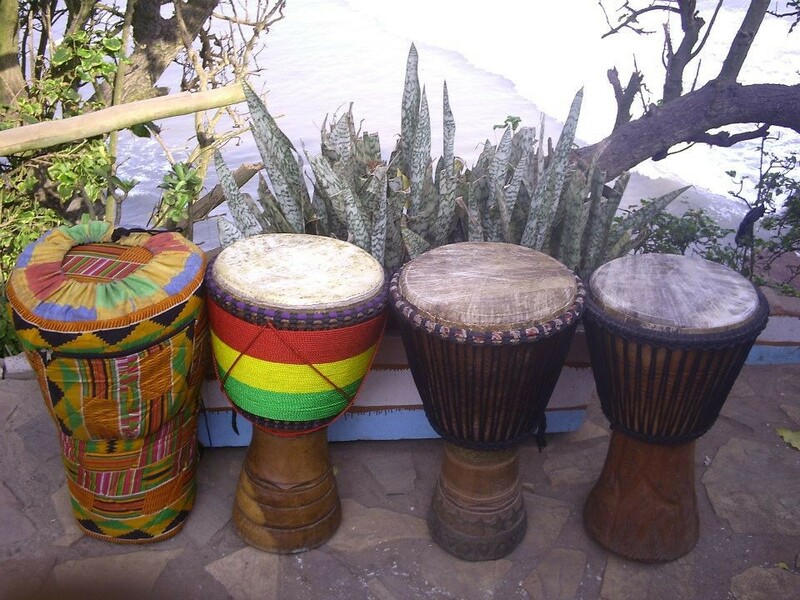 BY BUYING ONE OF THESE DRUMS YOU ARE HELPING TO GIVE AN EDUCATION TO STREET CHILDREN IN ACCRA WHO WOULD NOT HAVE HAD THE OPPORTUNITY TO GO TO SCHOOL. 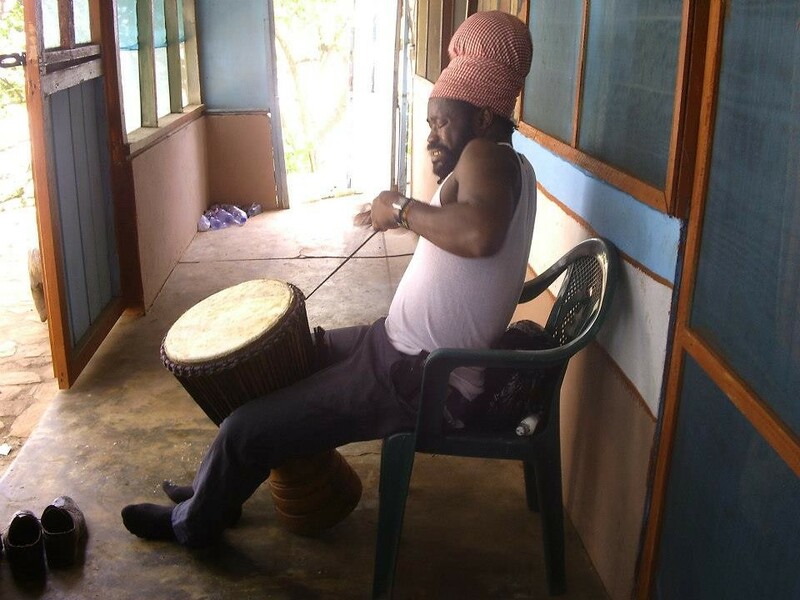 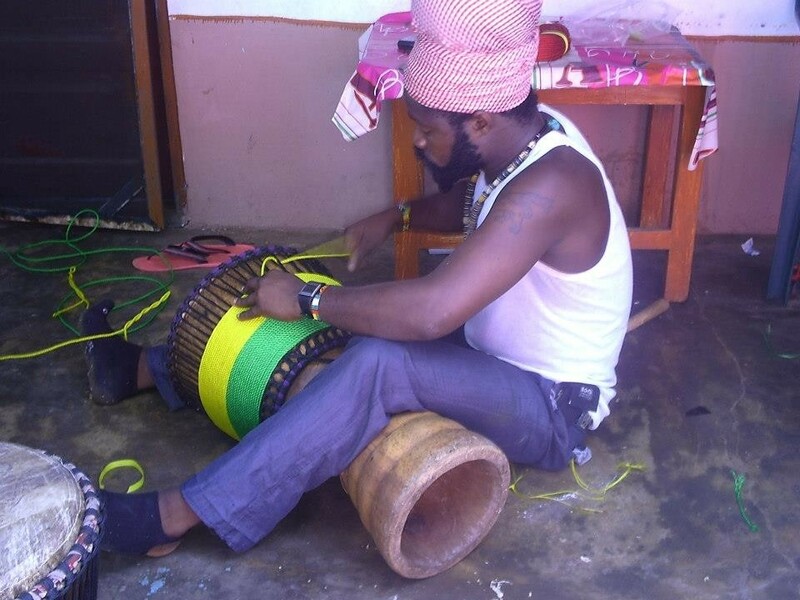 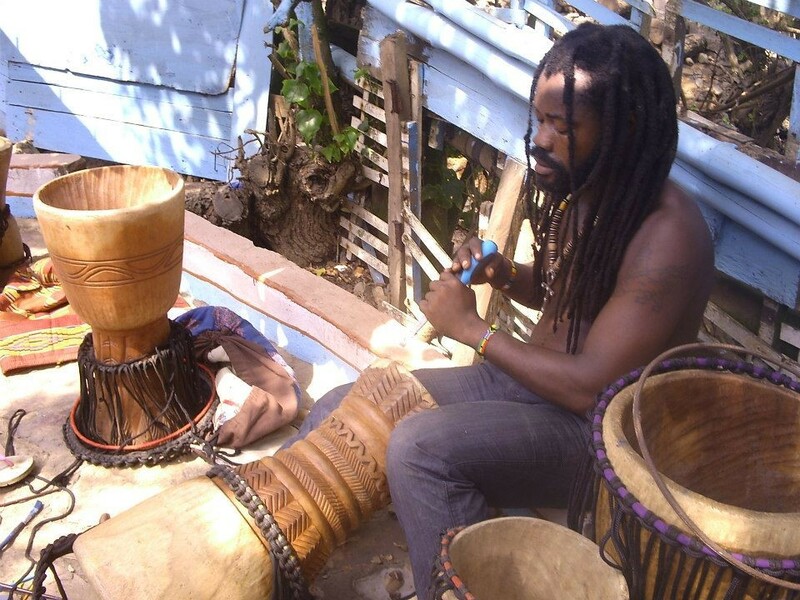 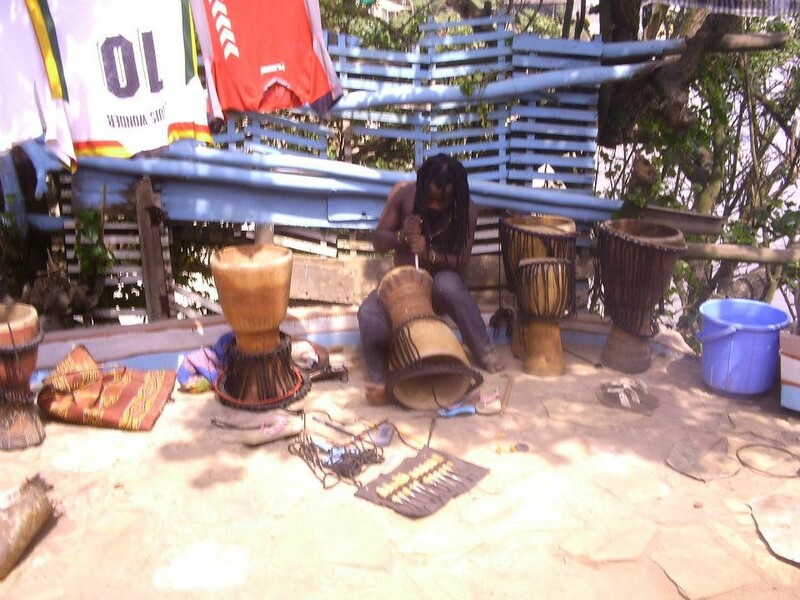 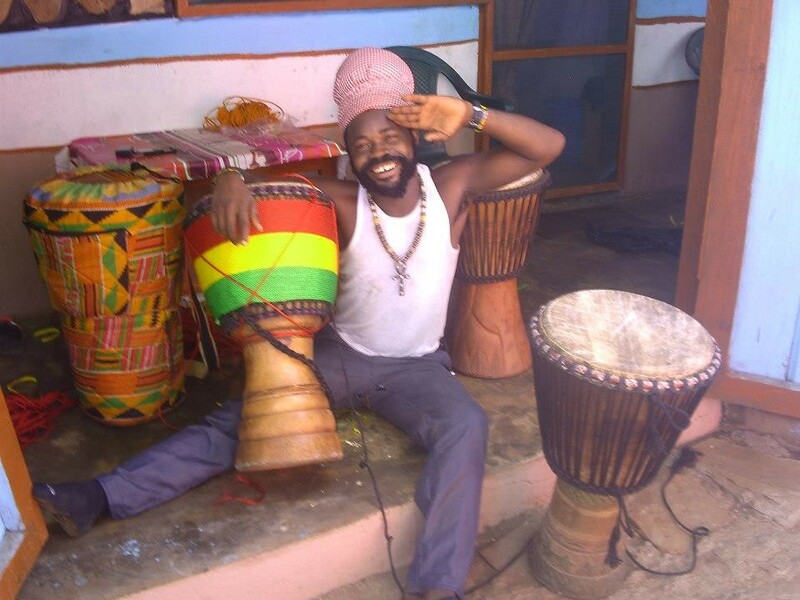 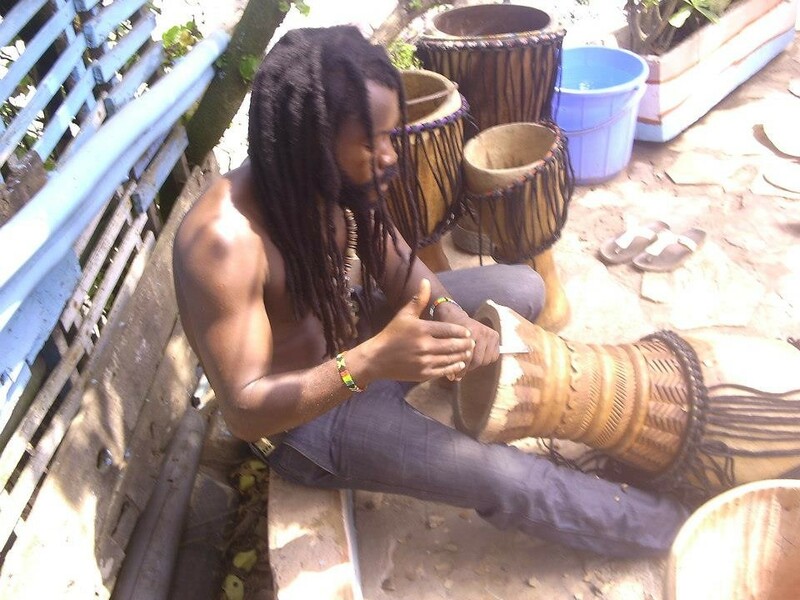 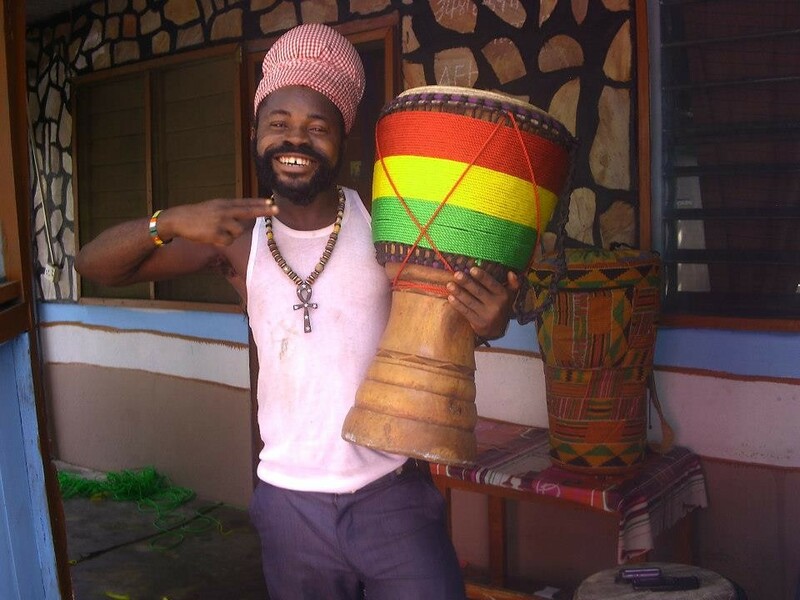 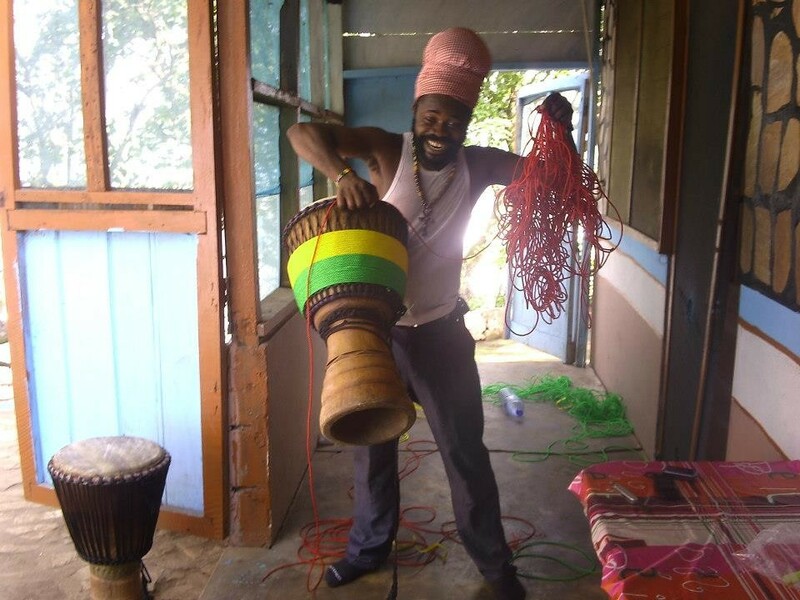 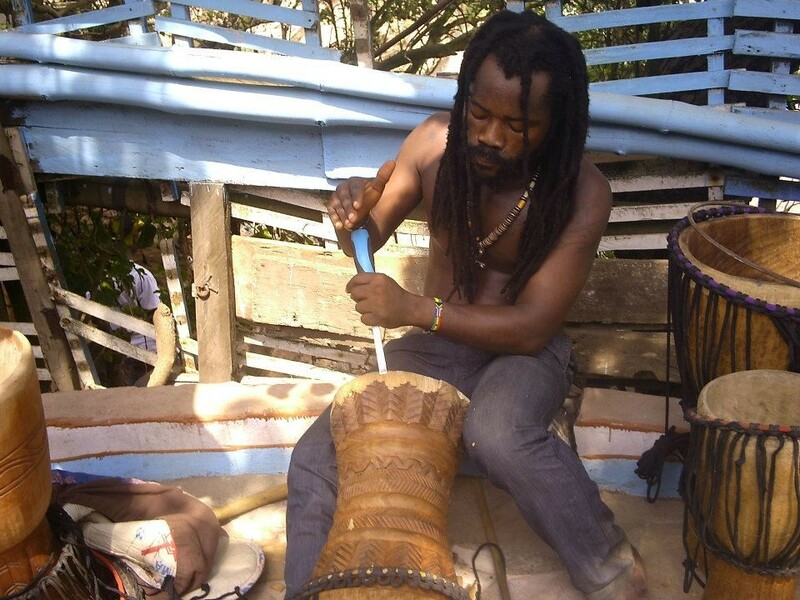 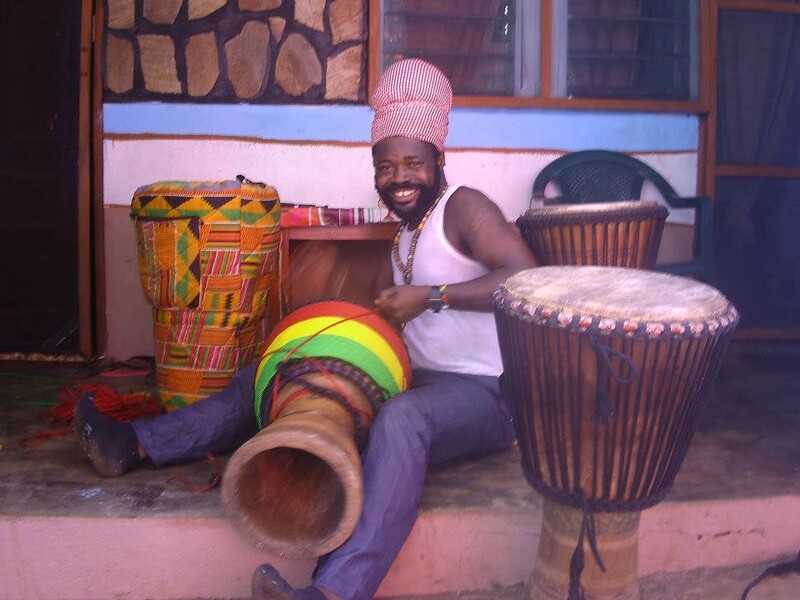 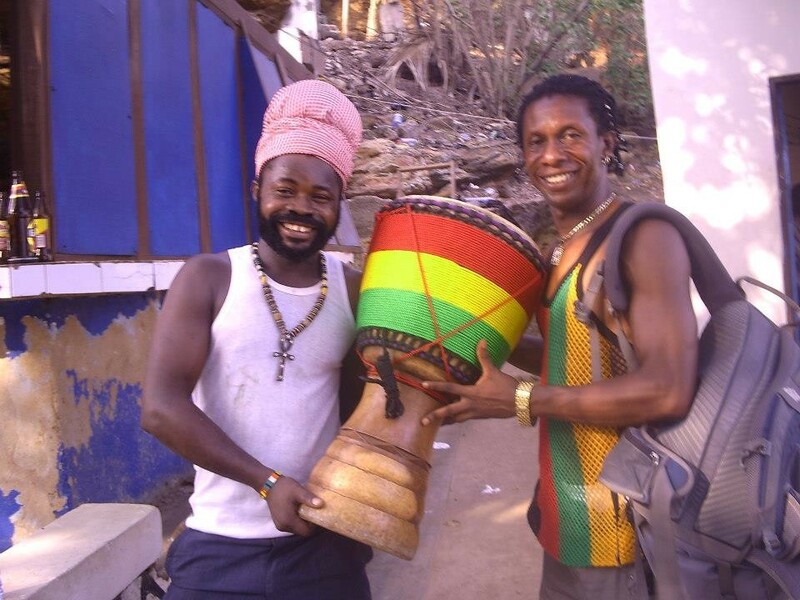 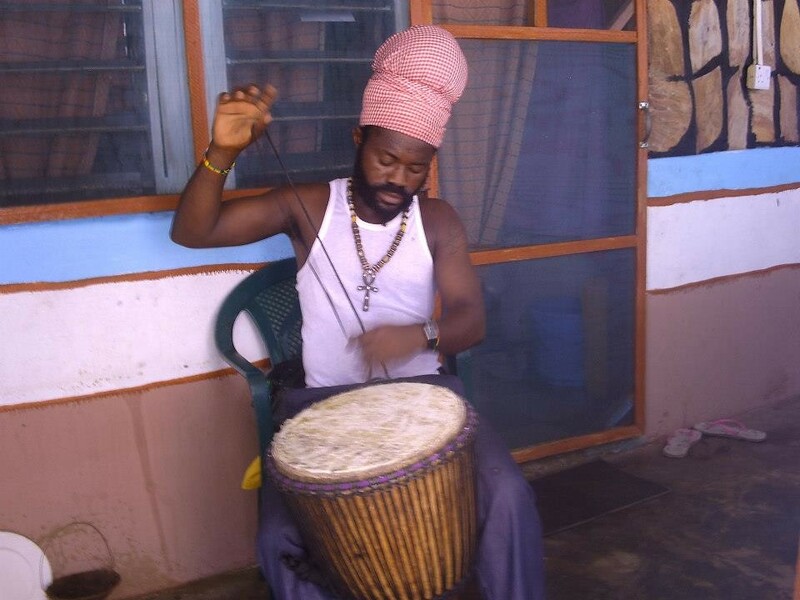 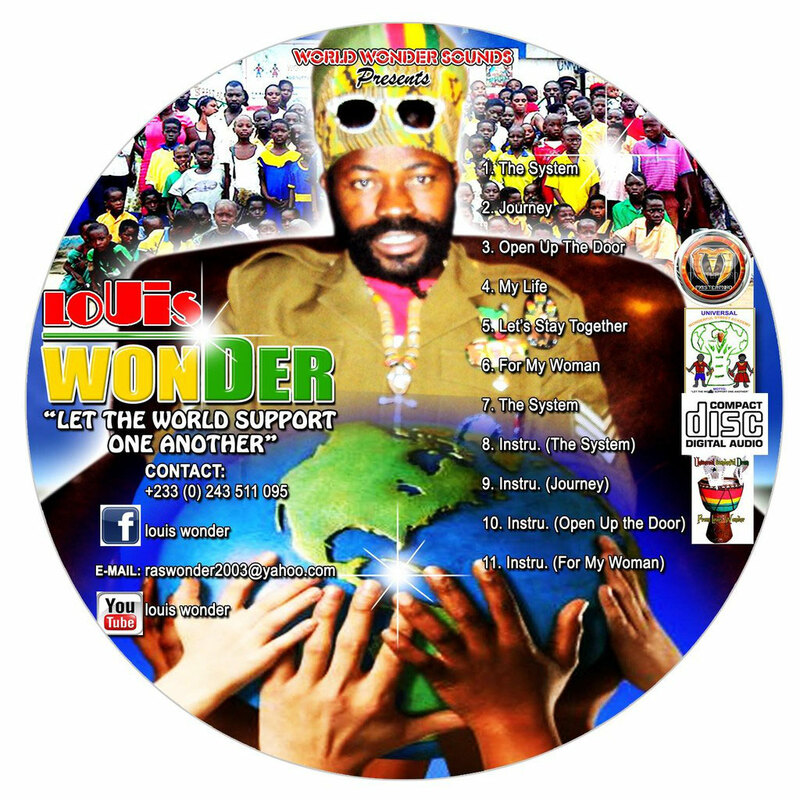 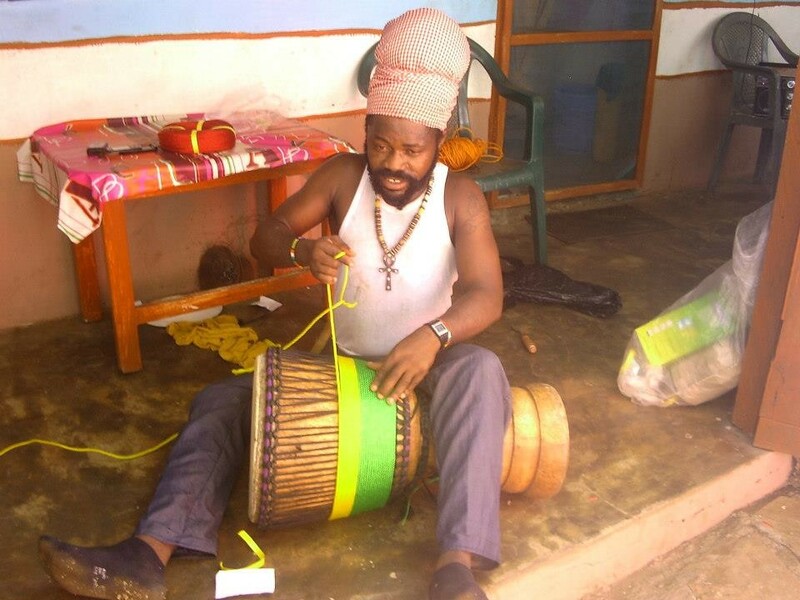 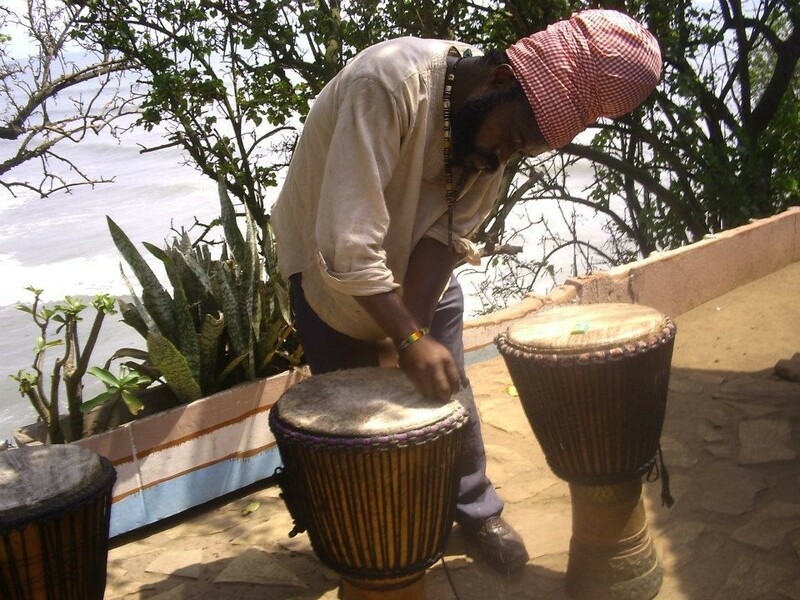 Louis Yeboah Womber Doe, Founder & Director finishes some of his master drums. 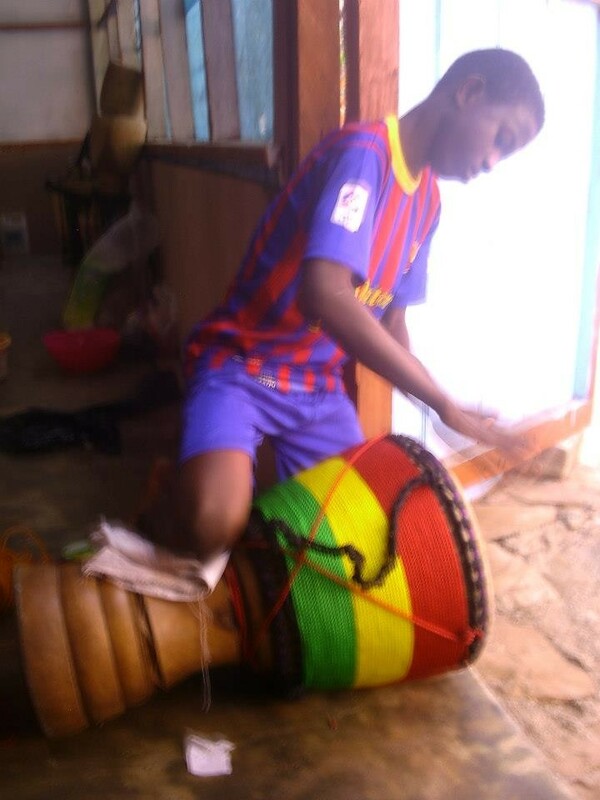 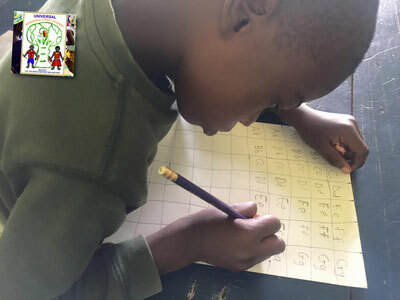 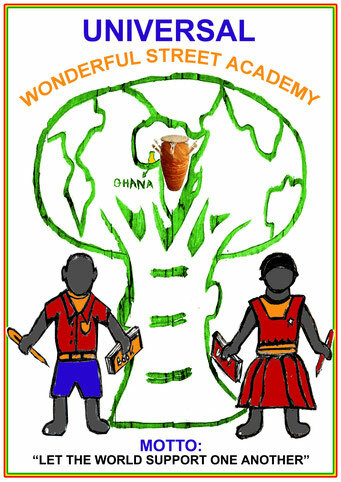 Louis Yeboah Womber Doe, Founder & Director of the academy starting his master drums.